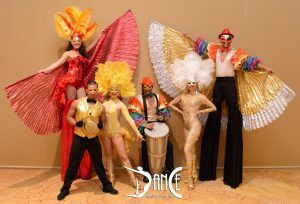 Bring your Party to life with our energetic Hora Loca / “Crazy Hour” Dancers, Acrobats, Stilt Walkers, and Live Drummers. 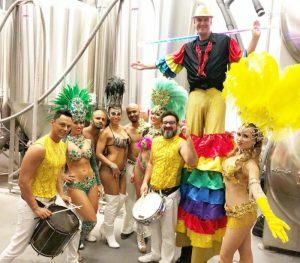 Our Hora Loca performers are the very best that South Florida has to offer. Dance South Florida employs the top Hora Loca entertainers in South Florida. We only employ seasoned Hora loca performers with experience in getting crowds to “move and groove”. 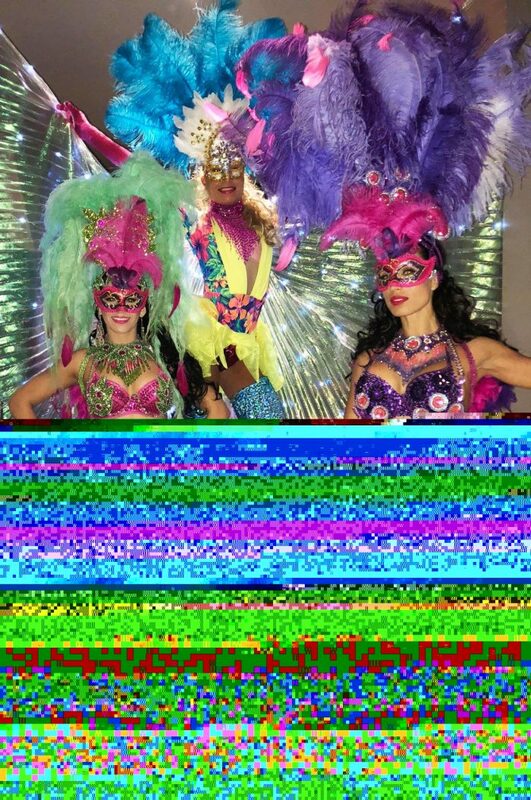 Our Hora Loca performers will arrive at your event wearing custom colorful costumes. 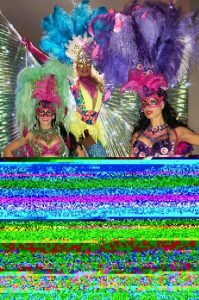 Costumes can be feathered “Carnival” themed, “Mardis Gras” masked themed, or fit into the color scheme or theme of your event. 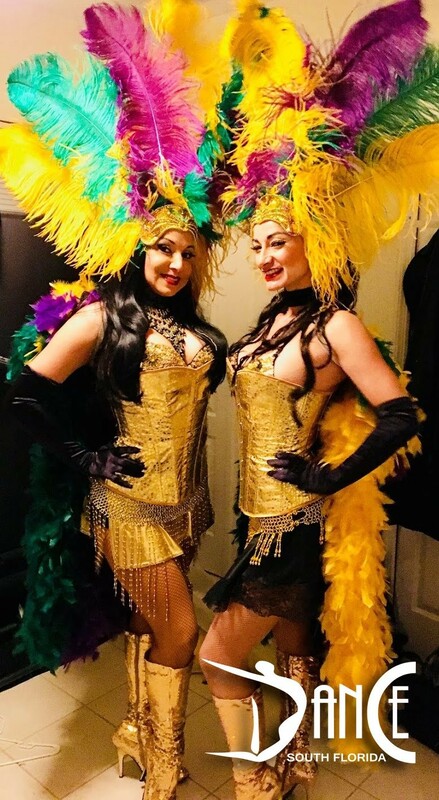 Hora Loca Packages can start with 2 performers and go up to 30+. All Hora Loca sets include fun and energetic “follow-me-along” type dances such as conga lines and Limbo. Dance South Florida can also assist in passing out props such as foam sticks, hats, and boas provided by client. Ask any of our prior clients and they will undoubtedly tell you that we were the life of the party! If the event merits, allow us to include a little Audience Participation and your guests will be in for a treat! Dance South Florida is not a school or dance instruction studio. We are a a professional production and entertainment company and thus do not contract “students” for your event. You can be assured that your event will have only the best that South Florida has to offer.